High Expectations recognizes that schools are so busy educating children, they often don’t have the capacity or resources to focus on parental involvement. We also know that parental involvement is often the missing link that is critical to student success. High Expectations offers the support that schools need to engage parents for academic excellence. Many states, districts, and schools struggle with how to cultivate and sustain positive relationships with families. A monitoring report issued in 2008 by the U.S. Department of Education’s Office of Elementary and Secondary Education found that family engagement was the weakest area of compliance by states.12 According to the 2012 “MetLife Survey of the American Teacher,” both teachers and principals across the country consistently identify family engagement to be one of the most challenging aspects of their work.13 A common refrain from educators is that they have a strong desire to work with families from diverse backgrounds and cultures and to develop stronger home-school partnerships of shared responsibility for children’s outcomes, but they do not know how to accomplish this. Contributing to this problem is the lack of sustained, accessible, and effective opportunities to build capacity among local education agency (LEA) staff and families. If effective cradle-to-career educational partnerships between home and school are to be implemented and sustained with fidelity, engagement initiatives must include a concerted focus on developing adult capacity, whether through pre- and in service professional development for educators; academies, workshops, seminars, and workplace trainings for families; or as an integrated part of parent–teacher partnership activities. When effectively implemented, such opportunities build and enhance the skills, knowledge, and dispositions of stakeholders to engage in effective partnerships that support student achievement and development and school improvement. From Mapp, Karen, Dr. 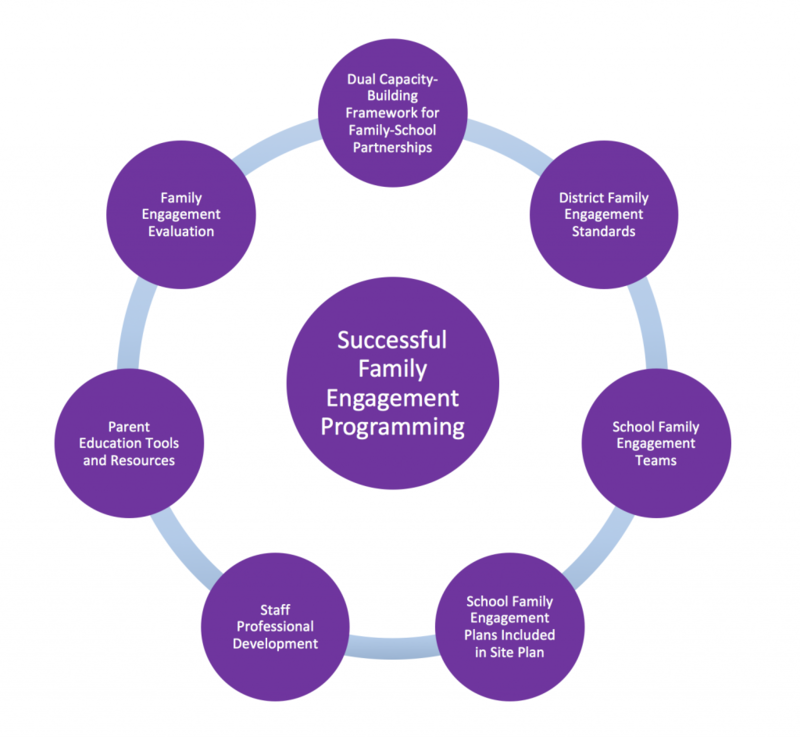 The Dual Capacity-Building Framework for Family-School Partnership. Publication. US Department of Education. Austin, SEDL, 2013. Print.